Unlike much of the rest of the country, north Idaho has been spared the brutal cold and heavy snows that have plagued so many other places. In fact, we're having a remarkably mild winter with barely any snow at all. Earlier in January we had some high winds. Wind is nothing unusual out here on the prairie, but once in awhile we get a humdinger and this was one of those times. On Saturday, January 11, the day started out calm but the wind picked up by dawn. It was screaming. 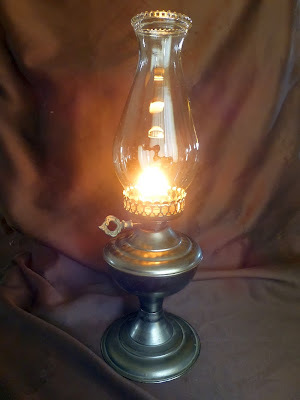 We had every kerosene lamp on standby and we kept every livestock tank brimful in case we lost power (when we lose power, we lose the use of our well pump), but miraculously the power stayed on. But a particularly violent gust snapped the top 40 feet off of our tallest pine. Thankfully no cows were underneath. And then we had a two-week period of dead calm, freezing fog, and bare frosty ground. While I'm sure folks in the Midwest would give their eye-teeth for this weather, frankly it got boring after awhile. The kids wanted a good whomping snowstorm so they could get some sledding in. The weather finally accommodated them. I don't know if whomping was an accurate description, but at least some weather moved in. So we did a few things to get ready, notably splitting some firewood. It was juuuust beginning to snow while I split. I caught up on laundry. The reason is because Matilda is limping. She somehow twisted or sprained her back right ankle. Since Matilda is our lowest cow on the totem pole, she tends to get pushed around by the more dominant animals, so I wanted her to stay quiet for a few days. ...which turned into a bigger clutch the next day. On Wednesday, we got about five inches of very pretty snow. We had a little bit of wind, but mostly it was calm snow. In the afternoon, I let Matilda and Amy out to stretch their legs and also so I could clean the barn. Amy's not used to being confined, so she immediately dashed around and fell to playfully sparring with Petunia. Matilda is still limping, but seemed glad to get outside. A sentinel quail watches over his flock. Major is easy to spot in this kind of weather. He and Lydia enjoyed a good romp. At his age, Major mostly stands there and lets Lydia do the romping, but his body language eggs her on. The dogs were aided and abetted by Older Daughter. We decided it was time for some comfort snacks in the form of survival cookies. Lydia is very attentive through this process because she knows from experience that she gets to lick the spoon. We divvy up any leftover bits of dough between her and Major. Altogether it was nice to finally get a taste of winter. My sympathies to all the poor souls across the country who want to shove winter back where it came from. Hang in there, spring is on the horizon. Here's an interesting little mystery. Yesterday evening's top headline on WND read Matt Drudge Sparks Mystery in 4 Cryptic Words. The cryptic words appeared on Twitter. The four mystery words were "Have an exit plan." Since Mr. Drudge hasn't explained what he means by this, needless to say this Tweet has sparked a great deal of speculation and debate. “His exit plan warning may encompass any number of potential scenarios such as a coming shock to financial markets, evacuating major cities in an emergency, preparing for the destruction of our currency, or having a way to get out of the United States in the event of a Soviet-style purge. Mr. Slavo adds, "Something has spooked Matt Drudge and he’s not alone." Time will tell what Matt Drudge meant by his mysterious little message. Recently Don and I had a conversation in the kitchen. This is nothing unusual; our kitchen, as in many homes, is a family gathering place and many conversations take place in it. But this conversation concerned how much more intrusive our government is becoming. I told him, "Do you realize how much more carefully I guard my tongue now that I know spying is everywhere?" It's true. Five years ago I never gave a second thought to who might be listening in to our phone calls, monitoring our email, photographing our mail, watching us from drones, or otherwise delving into our private business. I naively assumed we had privacy in our lives. The reason I mention the kitchen is because, in theory, our private conversation could have been monitored by two potential sources near that room: our cell phones, and my computer. I don't have a camera on my computer and our cell phones (seldom used) were turned off, but these days I wonder if that makes a difference. Maybe we should start having conversations in the barn instead. A few months ago I had a phone call with a dearly loved friend who now lives across the country. She began discussing something to do with the government and how she found it disturbing... and I found myself clamming up because I feared her words might "trigger" some spying device and cause us trouble. And if that doesn't sound paranoid, I don't know what does. But as the old adage goes, Just because you're paranoid doesn't mean you're wrong. The mere fact that there are certain things I don't mention on the phone or via email means, in a way, that "they" are winning. It means my First Amendment rights are being clamped down. It means that I am fearful of my government. Want proof? A few months ago an innocent family had their door kicked in during a pre-dawn raid by government thugs simply because the husband and wife happened to independently google "backpacks" (for their kids' schoolbooks) and "pressure cookers" (for improved kitchen efficiency). You probably remember this raid. I'd provide a link, but in order to do so I'd have to input "backpack" and "pressure cooker" into my computer's search engine, and doing so apparently triggers pre-dawn raids by government thugs. If you're interested in finding the news article online, I suggest you be careful. Data are by no means private, as Target customers or Obamacare website users can testify. Hackers are smart people and can grab data at the drop of a hat. But government spying is worrisome and indicative of the cracking foundation of our nation's stability. When the people become the enemy -- who must be spied upon -- I see it as the beginning of the end. And it's not just spying on emails and cell phones. People who seek the advice of a counselor are on their way to having their rights to own firearms revoked. My husband was mentioning a radio ad he's been hearing for a "natural stress relief" product in which "the first month is FREE!" In this Brave New World, if you're foolish enough to admit you might be experiencing stress, how long before that disqualifies you to keep your firearms? After all, you might "lose it" and start shooting up a mall! There are endless things in the news lately that make me mistrustful and further my desire to spend my life hunkering down. Recently a bank in England refused -- refused! -- to allow its customers to make large cash withdrawals of their own money unless they provided a "good reason." Due to the outcry, they hastily reversed this policy... but do you suppose that made customers feel warm and fuzzy about the availability and accessibility of their savings accounts? And how long before a similarly invasive process is instigated here? Last fall, Poland confiscated half of private pension funds to reduce government debt. And how can we forget how Cyprus confiscated up to 15% of bank accounts overnight (as well as imposing a $500 limit on withdrawals and a ban on online transfers)? As Michael Snyder notes, "Now that "bail-ins" have become accepted practice all over the planet, no bank account and no pension fund will ever be 100% safe again. In fact, Cyprus-style wealth confiscation is already starting to happen all around the world." And now we learn President Obama "will unveil a new retirement savings plan tonight that allows first-time savers to buy US Treasury bonds tax-deferred for retirement." Yeah right. And how safe would those retirement funds would be from government confiscation? Public schools are no better. The national dumbed down curriculum Common Core will ensure that all kids learn to toe the official government line. It's no wonder I'm mistrustful of public schools. Anything the government runs must, by definition, conform with the government's opinion. Therefore public school students can hardly be encouraged to view government interference as bad. Students are also cultivated not to question government actions, laws, regulations, or "official" news. Interestingly the tinfoil hat conspiracy theories are now showing up as news headlines on Drudge almost every day. It seems those who are suspicious have every justification to be suspicious. Just some thoughts as we prepare to split some firewood in the face of an incoming snowstorm. Here's this weekend's WND column entitled How We're Hurting Our Daughters. 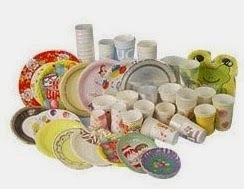 What kind of disposables do you use? Good morning, dear readers. I have a question for you. My next article for Backwoods Home Magazine will be on the subject of replacing everyday disposable items with their reusable counterparts. The idea is that if we wean ourselves off disposables and start incorporating reusable versions now, not only will this save money and reduce our garbage output, but it will be useful for if and when the bleep hits the fan because we'll already have our reusable items on hand. What else can you suggest? And if you have a reusable alternative for your item, please let me know that as well. This way we can all contribute to the article! There was a wonderfully uplifting post over at Thoughts from Frank and Fern a couple days ago entitled Dream Big, Be Patient. 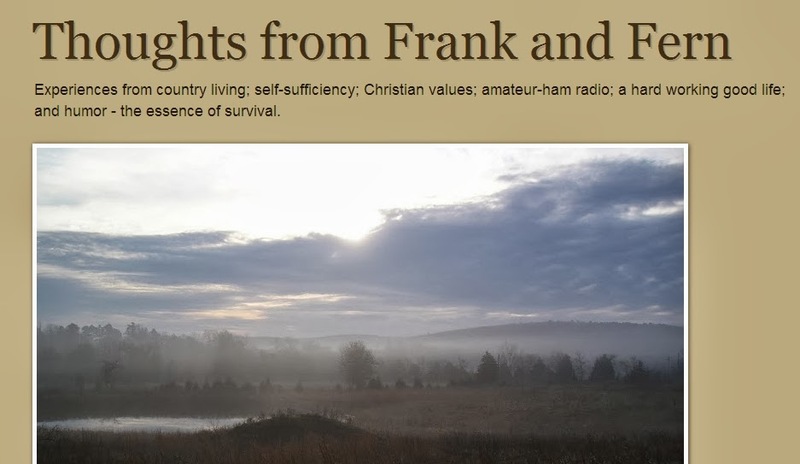 Fern outlined some of the things she and Frank have learned just in the last year: sourdough baking, making yogurt and cheese, gardening, canning, dehydrating, dehydrating, medicinal teas, using ham radios, and (not incidentally) blogging. One line in particular caught my eye: "Five years ago, we barely knew how to garden. We had a lot of book learning, but no practical experience." 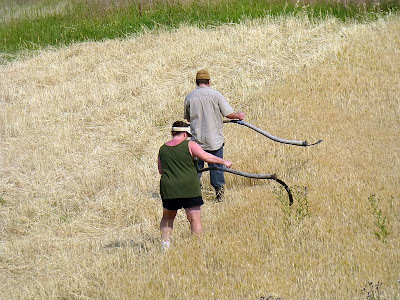 These two people have achieved something too many others only dream about, namely homesteading. They put their book learning to good, sound, practical use, and in doing so they learned where book learning ends and real learning begins. Make no mistake, my admiration for books knows no bounds. That's why we have over 5000 volumes in our house -- we're crazy for books. And there is a stage in everyone's life where book learning must take precedence. 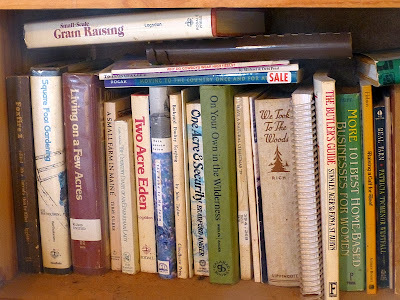 You can't exactly keep a cow while living in Manhattan, so the best you can do is read books on how to milk, how to make butter or cheese, how to muck out a barn, how to compost manure, etc. There are endless topics about which my only knowledge comes from books rather than personal experience. But book learning will only take you so far. 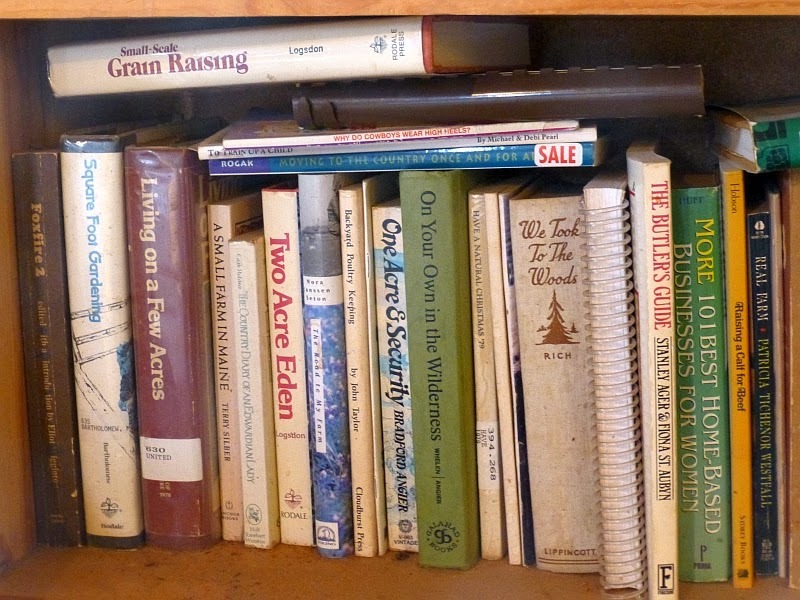 If you want to homestead, if you honestly want to get your hands dirty, you can't learn it all from books. True example: I'm working on a novel, an end-of-the-world-as-we-know-it type adventure told from a woman's perspective. It's pretty much rough-finished, so now I've started the first round of edits. I have a scene where the family is threshing wheat (most people are reduced to subsistence farming from sheer desperation). A wise elderly neighbor becomes a valued mentor during the heroine's (and her family's) steep learning curve, and he shows them how to hand-thresh wheat. This particular scene was written before, you guessed it, I'd ever hand-threshed wheat. When I went back last week and re-read that scene, I was appalled by how unrealistic it was. Now that I've hand-threshed wheat (and hated every minute of it), I can re-write the scene with greater realism. I guess the point of this post is to warn people who are planning to, say, bug out to a rural location if/when the bleep hits the fan. Here's a reality check for you: Nothing will go as planned. Your book learning won't amount to squat when you actually have to milk that cow, grow that garden, or thresh that wheat. As I mentioned, many of us are in positions where book learning is the only thing we can do... for now. And that's fine. Just don't make the mistake of thinking that real life will be just like in the book. Where book learning becomes dangerous is when people plan for their future survival with no room for error. They plan elaborate off-grid systems but don't keep candles or kerosene lamps on hand should those systems fail. They grow a windowsill herb garden and conclude they're experts on survival gardening. They claim it's easy to preserve an entire season's worth of fruits and vegetables before they've even broken their new pressure canner out of its box. In other words, I urge people to get as much practical experience as possible to supplement their book learning. On the up side, there is nothing more satisfying than learning a skill or procedure in real life. When we got our first cow in 1998, I was terrified to milk her and had no idea how to actually get milk out of those teats. I queried up and down the road we lived on, asking if someone could tutor me (no one did). So I learned. And you know what? It's fun. (Most of the time.) It's educational, it's satisfying, and it's productive. So whenever possible, lay down the books and plunge into the reality, just like Frank and Fern have done. You'll never look back. 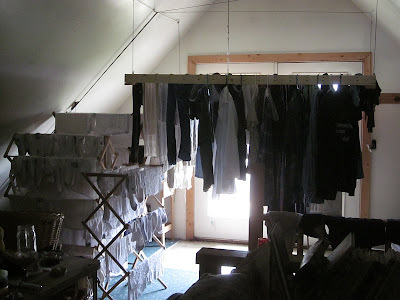 A woman named Helen from a place called Mulberry Lane Farm emailed and asked permission to reprint an older blog post entitled Ten Steps Toward Christian Simplicity, which she posted on the farm's Journal. Apparently Mulberry Lane Farm is the only organic strawberry farm in the state of Illinois. Holy cow, look at that fruit. 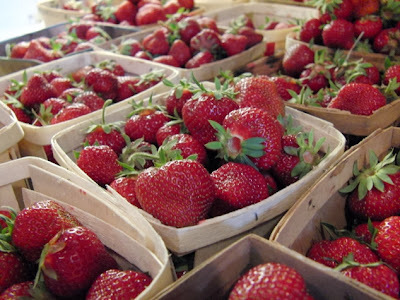 If anyone in the region needs strawberries (in season), you'll know where to go! Thank you, Helen. I'm honored you chose one of my pieces to reprint. Here's my WND column for this weekend entitled Training Us to Be Victims. Not exactly a barn-burner. Same ol' same ol'. I think I'm in a rut. Grunt. "An era of indulgent slothfulness..."